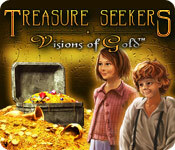 Treasure Seekers: Visions of Gold is rated 3.4 out of 5 by 31. Rated 5 out of 5 by smilingsun72 from There be Pirates treasure hidden in this game! I enjoyed this game. It is different than a regular HO. You find objects and place them in circles provided. I found finding some of the items challenging because they were hidden behind other items. Also, scattered through game are puzzles besides HOs to do to complete the scene. There isn't any voice acting so I had to read the scripts, which I didn't find annoying. The scenes are sharp and beautiful. The story is interesting. So if you are looking for a different twist on HOS and something challenging this is your game. Also, fair warning the hint button does take time to recharge. Recommended for family! Rated 5 out of 5 by roundcanary from The Quest of Gold I remember playing this on the iPod and love every minute of it. I had to get it on the PC. I love the characters you meet a long the way. Nelly and Tommy are so cute in this games. Everyone would love this game. Rated 5 out of 5 by wthkdz from So much more than Hidden Object Game This was the first and still is my favourite game of this genre. Kids love it too and there is no pseudo horror or romance to carry the story just good old fashioned adventure. Rated 5 out of 5 by Snowfoxx from Love these kids! This is the first in a series of hidden object puzzle games that feature two redheaded kids, Nelly and Tommy, and how they become professional treasure hunters. In Treasure Seekers: Visions of Gold we first meet Nelly, the older of the two kids, and we learn that she’s been having dreams about pirate ships and buried treasure. As Nelly is exploring around the house one day, in which we help her do, she finds a chest with a map on the top of it. She goes to the derelict house nearby to find her little brother, Tommy, and there they find more clues to the map and learn that their grandmother was a pirate. What a cool grandma! The first part of the game looks to be set in the 1920s, and we do know that LaFitte, the last of the great pirates was still pillaging as late as the 1840s, so the timeline is plausible. There are still pirates out there today, as we know from the recent news, but this deals with finding treasure from the Golden Age. 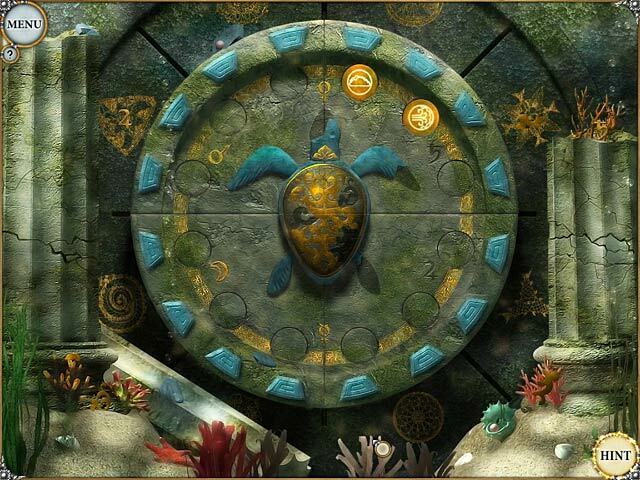 The gameplay is similar to Shaolin Mystery: Tale of the Jade Dragon Staff with the small puzzle that require you to seek out part of items, and put them together to make them work. This leads you to the next item in the room or to the next puzzle you have to solve. The other logic puzzles you encounter are geometric fill-ins, and seeking out small part of similar items, like 10 keys in one room or 20 bolts and such. Lots of visual logic here. I will be checking into the other Treasure Seeker games, and we will be treated to watching Nelly and Tommy grow up through these games, like we did with the young wizards and witches in the Harry Potter books and movies. The Treasure Seekers series looks to be very promising, and I will have viewed them all within the week. Take the challenge with Nelly and Tommy in Treasure Seekers: Visions of Gold this weekend, and become addicted to Nelly and Tommy adventures, too. Rated 5 out of 5 by sajid7860 from very very nice to play this game i loved to play hidden games . Rated 5 out of 5 by BBooped from great hidden object game There was not anything to dislike it was fun. 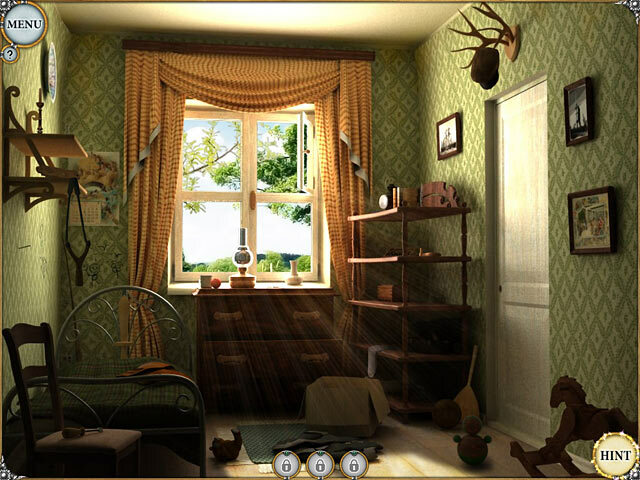 Well hidden objects. That you had to look for. Rated 5 out of 5 by Esmulyani100 from Classic Storyline and Adventures is Begin! My review is the story is begin when Nelly is dreaming about a pirate ship and her grandmothers. Then, Nelly and his brother, Tommy, search the treasure. With their cleverness, they can find that treasure. Also, they have meet their grandmother. Is the awesome storyline. Is the first Nelly and Tommy's Adventure. I say that to my friends, I telling a story of Nelly and Tommy's Adventure to search the treasure. My friends like the story. The story make me more enjoying because I like classic stories. Also, I like the puzzles and adventures. The puzzle is more difficult when I though. I want to search treasures like Nelly and Tommy because I like adventure. This is the awesome adventures of search the treasure. Rated 5 out of 5 by LoneCleric from A classic This was my very first HOG, and to me it set a standard that many other games can't achieve. Gameplay-wise, note that the game doesn't use list of objects. You get a picture of the object, but not necessarily from the angle shown in the scene. You progress in the game by finding hot spots, and then "unlocking" those spots by finding the items shown. 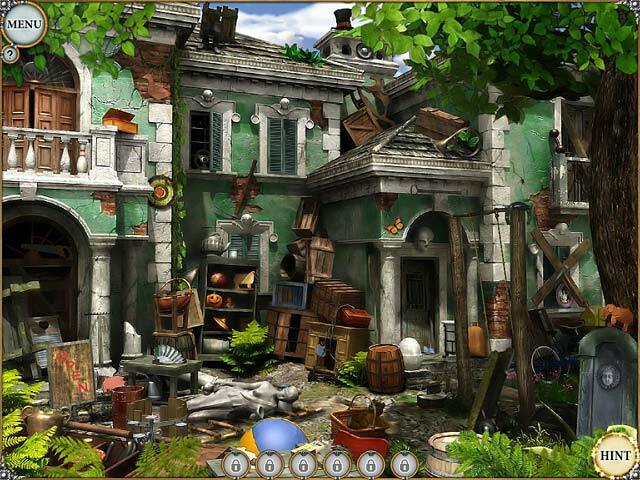 Rated 5 out of 5 by marg6043 from Nice hidden game This game was my first ring hidden object game I played when it came out, I was trilled by the new for me way to find objects, so I love it, plus it was also my first treasure seeker game and I love all of them.